- Heavy double chains for better catching. - Light weight and durable. - Easy to take apart for storage. Heavy double chains for better catching. | Portable. Base included. | Light weight and durable. Easy to take apart for storage. 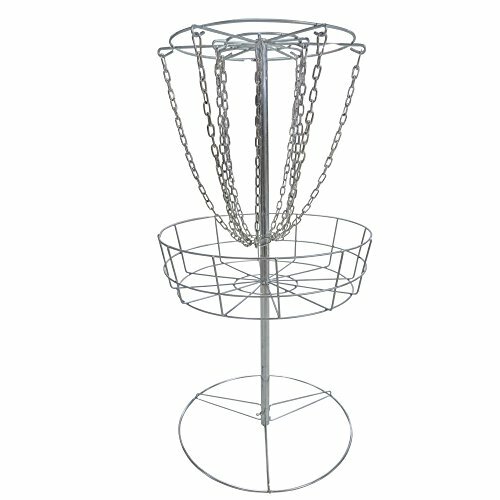 | Height: 52"
Petra Sports Steel Disc Golf Basket. Portable Practice Target.